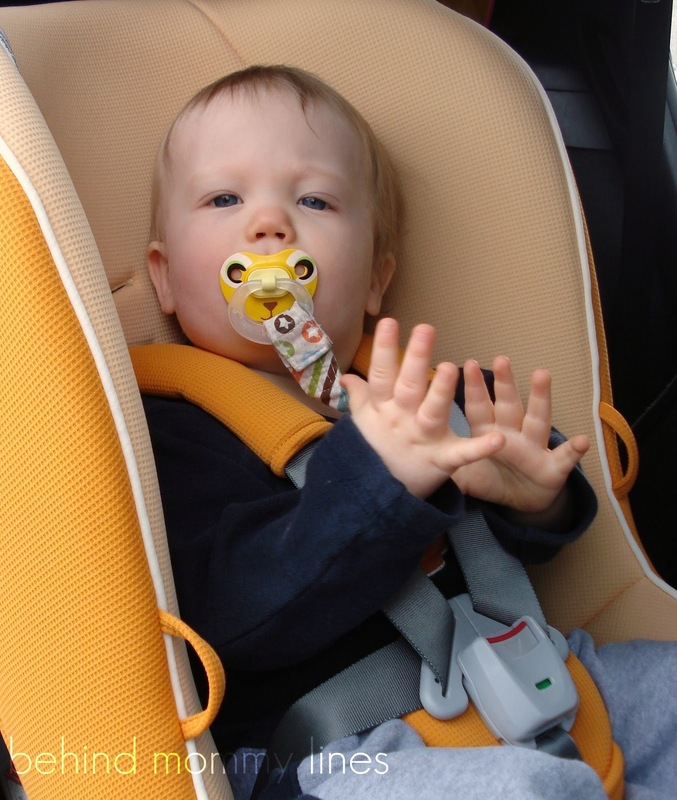 Are you a crazy parent (like me) with three small young'uns who are all still firmly in "carseats?" Then you need to look into the Combi Coccoro, my friend! Finding the right seats for our vehicular situation through the years has been tough. When the twins first graduated from their infant carriers, (and by graduated, I mean they were freaking two years old, still hovering around 20 lbs. and gosh darnit! I needed them to face forward and take advantage of the DVD player! They were also too long for the infant carrier, so I felt justified) we went out and bought 30-100 lb. rated seats all willy nilly. It didn't matter how bulky and obtuse they were! The fabric was a cute print! And they had cupholders! Cuteness was really the driving factor in that purchase. Fast forward another year, and I am eyeing the cupholders, while holding a hacksaw in my hand. (yes, really) I was trying to convince myself that I could easily hack off that superfluous plastic so that three seats could fit in the back row. Looking at our first round of seats with a new perspective, I saw just how much wasted space and extra plastic nothingness there was- obviously not much attention was paid to efficient design. It was clearly all about looks. I bought it sight unseen off Amazon without a single hesitation. I mean, c'mon! $150 is a pretty good deal for a carseat. I was willing to take a gamble that the seat was overhyped and wouldn't exactly follow through with all the claims Combi was making, just in the chance that it MIGHT solve the problem! (and kept me from having to be a minivan driver- ugh) Heck, I would have bought three, but the girls are- say it with me- too tall! Yet they are only 2 lbs. heavier than the baby. (figure that one out for me! My petite girls refuse to conform to any growth pattern, and continue to defy the carseat manufacturers. They keep growing tall, but never gain a pound) I wish Combi would have come out with this two years earlier- I could have really used the reassurance that three small babies could fit into something other than a minivan. Even if you're not in a car-space-to-kid-ratio predicament; having a little extra room is nothing to turn your nose up to. I was quite impressed with what arrived on my doorstep mere days later. I impatiently waited for Little Man to gain more weight and qualify for safely transitioning into forward facing status. Even the names of the colors are fun: I got "carrot cake." - It fits well within the boundaries of one seat space, leaving room for the neighboring seats to fold down, slide up, and allow the twins to hike into the back bench. (the new seating arrangement around these parts) Had the girls' fit into the Coccoro as well, I could have probably kept my previous car and just lined them right up along the seat. I'm glad I got the Coccoro even with a bigger car. The second row is split, and the smaller side is the one that I can see from the driver's seat. I wanted Little Man in that seat so I could see what he was doing and/or hand him a sippie to keep him quiet. I was a wee worried that the carseat would not allow the other side to fold down and I'd have to put him behind me. I was happily surprised to find just how compact the Coccoro was. - It can go rear facing and has a snugly infant pad- if you're into that kind of thing. I still maintain that the "travel systems" out there are worth the money just for the convenience factor, even if they are only useful for the short wee-baby stage. (Especially if your infants are tiny and weigh less than your 5 lb. chihuahua) However, if you have an 8 lb. baby right out of the gate- the situation starts to get really heavy pretty quickly. 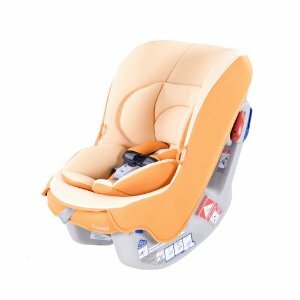 So I can see the case for parents who want to buy just one carseat, like this one, for the long-haul from infant, to toddler, and beyond. - I had a cop friend of mine who is well versed in carseat installation and safety take a gander at it- it passed the safety exam with flying colors. She was actually really impressed with the Coccoro. It is made with high quality inside-foamy-stuff that has an acronym I can't remember, and has all the extra protection stuff to put a consistently paranoid parent's mind to rest. All around a good, solid seat. - This is an odd thing to like, but since I have pinched quite a few baby leg fat rolls in previous seats, it's important to me to safeguard against this; giving my kids a blood blister breaks my heart! The bottom buckle has a fabric overlay underneath- between the snap and the baby's crotch/legs- no chance for accidentally getting some sweet baby skin caught while buckling up a squirmy one. - I am not a fan of the harness. Having used the Graco system with the twins and the Chicco Key Fit system with Little Man, I prefer either of those harnesses to Combi. Combi's harness is really fussy, requiring too many things be "just right" before it will allow you to secure baby. I'm sure it's "ultra safe," but try buckling a kid in there a million times a day, and it gets a bit annoying. And the big red release button seems to be in a very convenient spot for a toddler to unbuckle themselves without mommy's permission... just an observation. Thankfully Little Man lacks the motor skills for such a maneuver... now. I suppose we'll see on that one. - I also do not care for the fabric. It has snagged on my (now lost) wedding ring, and seems a tad bit scratchy for a baby. But Little Man does not seem to mind it. Clapping for the Combi Coccoro! - Disclaimer: I have not been compelled by Combi in any way to write up this review. I'm just that glad to have finally figured out this whole carseat mess! So we've had this seat for a couple years now. (my, how time flies!) And I thought I would update this review as we've been using the seat for a good while to get a feel for it, or become experts with it. 1) I had expressed some apprehension about the baby being able to unbuckle himself in the seat. This has never happened. So far he has learned how to roll the windows down in the car, as well as pull on the door handle, (yay for child locks!) but not once has he unbuckled himself from his carseat. 2) The fabric did snag a couple times in the early days, but has worn in and become softer and has not snagged on anything for quite a while. It's even much nicer to the touch- so I guess there is a wear-in period to put up with on that front. Still, nominal. 3) We have gone on roadtrips which required me to fold down the backseats for things like luggage, pack and plays, etc. Since the girl's carseats are in the back, we moved them up to the front. We had to put the Cocorro in the middle area, then nested the girl's Graco Turboboosters on each side. This arrangement worked just fine. It was kinda tricky buckling the girls in, so not something we could put up with daily, but just fine for a temporary trip. So three carseats fit just fine on one row- with enough room for two five year olds and a two year old to travel comfortably. In the end, I would highly recommend this seat. It is truly the only compact seat I've come across that worked in every situation we threw at it. In fact, here are some pictures! In these shots, he is 2 1/2 and weighs somewhere around 30 lbs. He did not feel like cooperating for pictures much. Don't let him fool you, he loves his seat. Especially when Wall-E is on the DVD player. You published this article on my due date (of 2015). I LOVE the Combi and also wrote a review. I found your review by searching for the snagging material to see if anyone else had this issue. Glad I'm not alone. I actually liked the feel of the material, though. The snagging was about the only thing I didn't like about it. I really wanted to get a Carrot Cake for my little one due this year, but it's gone. :( I actually ordered one off of a fishy sight. I can only hope it eventually arrives. :O Prego hormones had me crying for 3 hours over the fact that Carrot Cake is gone. lol We bought Key Lime for my son in 2010 when he was born. He lasted in it for 2.5-3 years. It was actually his favorite seat too. <3 Is your son still in his or has he outgrown it now? What seat are you looking to transition him into once he's out of this one?